Wooden mask, helmet type of heroic size. Soft wood colored a brick-red shade. 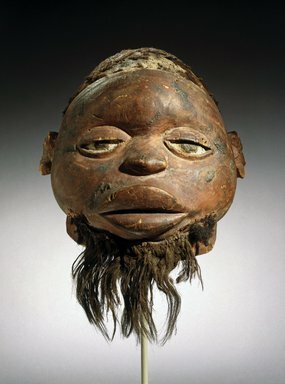 Human hair (probably) fixed to the top head, beard attached to chin. Protruding lips, flattened nose, rounded forehead. Ears carved into fan-like shapes.